Malaria is a deadly disease that causes around 500,000 deaths per year. It mostly affects the population in the tropical and subtropical regions of the world. Unhealthy surroundings or a weak immune system make you more prone to contracting this infectious disease. Doctors prescribe quinine or artemisinin-based medications for its treatment. 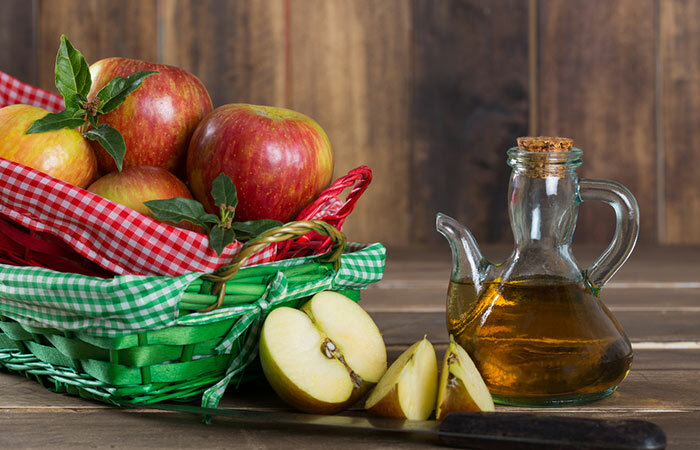 Additionally, you can help your body recover better and faster by incorporating a few home remedies along with the prescription medicines you are taking. Read on to know more about malaria, how it is caused, its symptoms, prevention measures you can undertake, and the wonderful natural remedies that can aid in your recuperation from this illness. The word ‘malaria’ has been derived from the Italian word ‘mala aria’, which means bad air, as it was once believed to be caused by bad air. But medically, malaria is an infectious disease caused by a protozoan parasite. The female Anopheles mosquito acts a carrier for this parasite. The female Anopheles mosquitoes are found breeding in stagnant waters, from where they can contract the parasite and spread it to humans. When this mosquito bites a person, the parasite enters his/her body and initially grows in the liver for a few days. It then enters the bloodstream and attacks the red blood cells. This is when the various symptoms of malaria start to present themselves. A warm climate is a convenient breeding environment for the parasite and the mosquito. Hence, people living in the tropical regions are more susceptible to this disease (1, 2). Here are some fast facts about malaria. People living in 106 countries and territories across the world i.e. more than three billion people are at a risk of malaria. In the United States, malaria was eliminated in the 1950s. However, almost 2000 cases are reported every year, mostly by people who have recently traveled to a tropical country. Three different species of the Anopheles mosquito have been found to be responsible for spreading the infection. When a pregnant woman contracts the infection, it can result in a decreased birth weight of the baby, reducing the chance of its survival. Multiple diagnostic tools used by an experienced laboratory technician or pathologist can help differentiate the type of parasite causing the infection so that the appropriate treatment can be planned by the doctor. Let us now look at the root cause of this disease. Find below the different types of malaria and its symptoms. Based on the severity of the infection, there are two types of malaria – uncomplicated and severe (or complicated). (a) Uncomplicated Malaria – The malarial fever attack consists of the cold stage (shivering and chills), the hot stage (fever), and the sweating stage (sweating and tiredness). Typically, an attack lasts for 6-10 hours and repeats on the second day when the infection is caused by these parasites – P.falciparum, P.vivax, and P.ovale. These are referred to as ‘tertian’ parasites. The P.malariae is called as a ‘quartan’ parasite, and the malarial attack repeats every third day during this type of infection. Immediate treatment is essential for severe malaria (4). The sight of a malaria patient makes most of us panic. However, it is possible to cure this disease with the right combination of the prescribed medicines and home remedies. Given below are the best home remedies for malaria treatment. Dilute the ACV with water and soak the cloth pieces in it. Place these on the calves for 10-12 minutes. Do this during the fever stage of the malaria attack. This a folk remedy that is known to reduce fever (6). Chop the ginger and boil the pieces in water for a few minutes. Strain and drink this decoction once it cools down a little. You can add some honey for taste. Drink 1-2 cups of this every day. The active constituents of ginger, like gingerol, possess antimicrobial and anti-inflammatory properties. 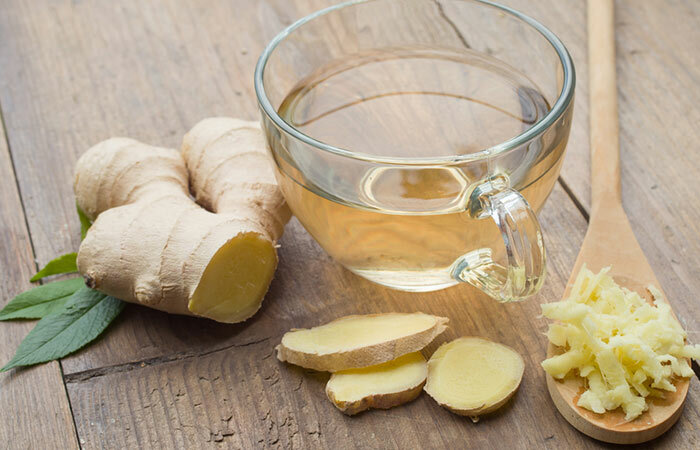 This remedy can give you relief from the pains as well as nausea as ginger aids digestion (7). Boil the cinnamon powder and pepper powder in water for a few minutes. Strain and add honey to it. Consume this once or twice a day. Cinnamon is also an effective home remedy to treat malaria symptoms. 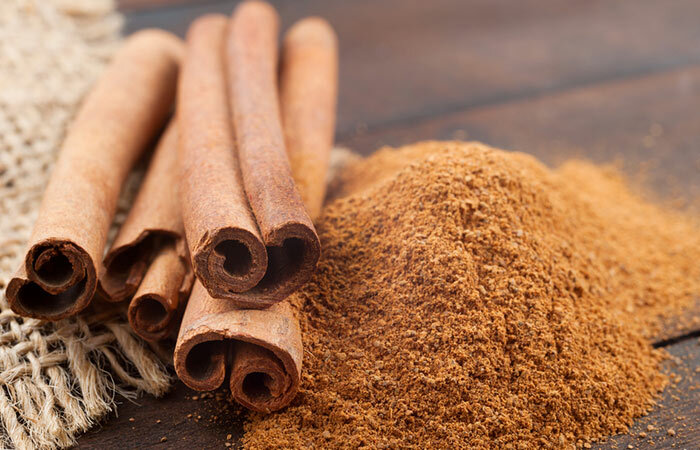 The cinnamaldehyde, procyanidins, and catechins present in cinnamon have antioxidant, anti-inflammatory, and antimicrobial properties (8). These seeds should be ingested with water two hours before the expected onset of fever and one hour after it. Repeat this before and after every malarial attack. The seeds of the fever nut plant are considered an effective remedy for malaria. This is a rare plant, but it can be obtained from any herbal store and preserved for use. This will prevent the paroxysm of fever, but if it occurs, the same procedure can be repeated to cut short the duration of fever. It has antimalarial and anti-inflammatory properties (9). 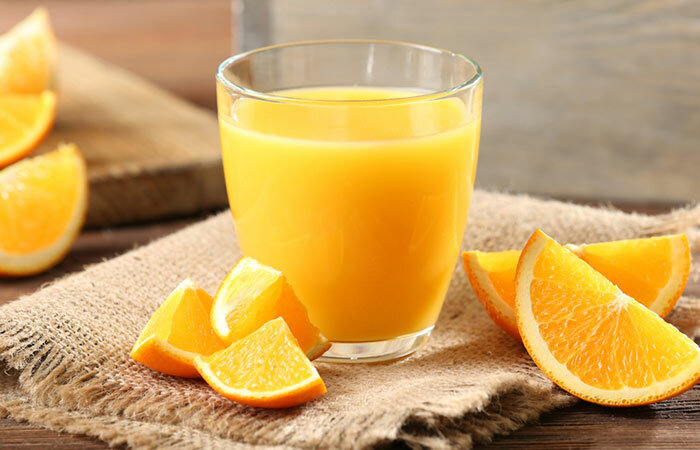 Drink orange juice in between meals. Have 2-3 glasses of fresh juice every day. With its roots in naturopathy medicine, this remedy might be effective in reducing the fever because of the high vitamin C content of oranges (10). Vitamin C boosts the immune system (11). Strain the pulp and drink it. 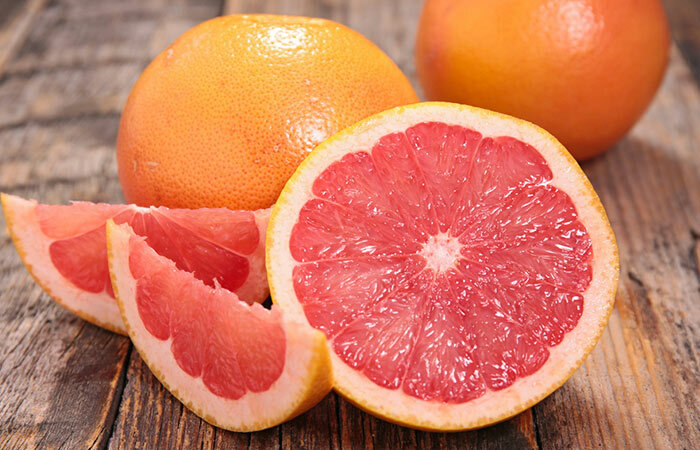 Raw grapefruit or grapefruit juice is quite effective in controlling the intensity of malarial infection. 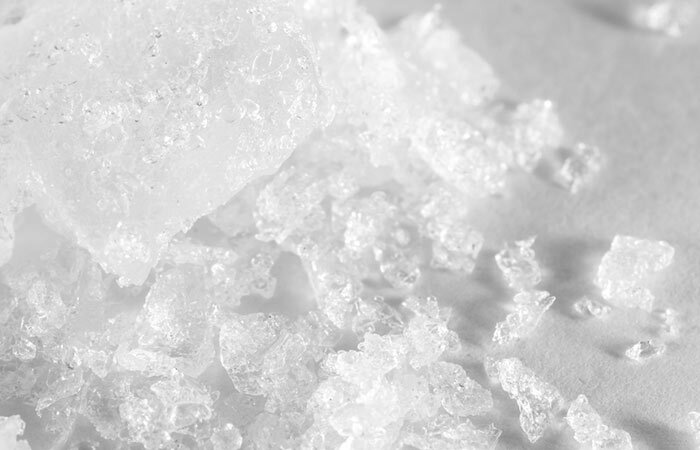 It contains a natural quinine-like substance that can alleviate malarial symptoms (12). If quinidine is a part of the prescribed medicines you are taking, do not drink grapefruit juice. This fruit alters certain enzymes in your stomach, reducing the absorption capacity of quinidine. Extract fresh juice from the fruit and drink it. Drink two glasses of sweet lime juice every day. Known as mosambi in the Indian subcontinent, sweet lime is part of the citrus fruits family. Apart from the obvious vitamin C content, sweet lime is easily digestible for a malaria patient (13). Crush the leaves and press them on a sieve to separate the juice. To this juice, add the black pepper and mix well. Drink this juice thrice a day, especially during the initial stages of the disease. 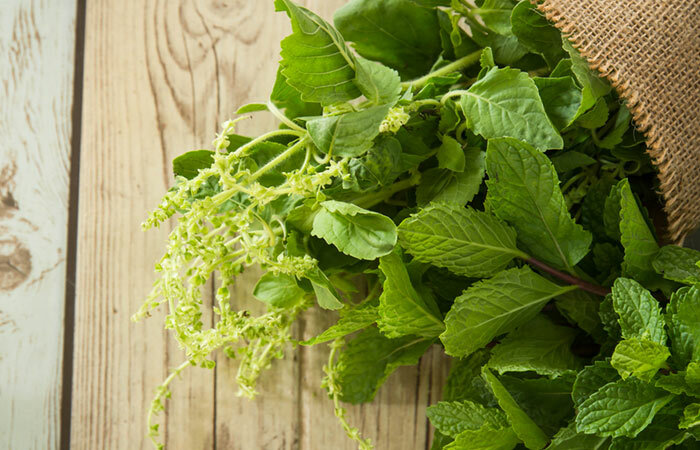 Holy basil leaves are regarded as a herbal remedy for various diseases, and malaria is one of them. This plant is known as the ‘queen of herbs’. 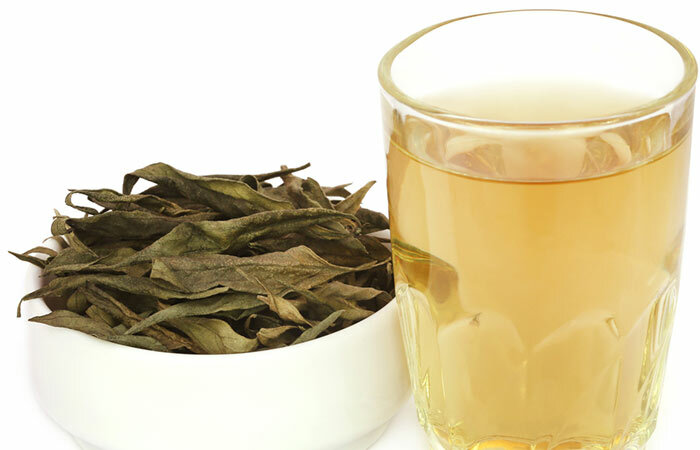 Its leaves promote healthy functioning of the body. It has antimalarial effects when ingested regularly during the infection. It also gives relief from other symptoms such as nausea, vomiting, diarrhea, and fever (14). Roast the alum on a hot plate and powder it. Take half a teaspoon of this before the expected attack. Take half a teaspoon every two hours after the attack. Do this before and after every malarial attack for immediate relief from the symptoms. Alum is also quite useful in treating malaria as it is antimicrobial in nature (15). Soak the green tea bag and the tamarind in hot water for a few minutes. Remove the tea bag. Strain the herbal tea prepared and drink it. Have two cups of this herbal tea every day. The antioxidants in green tea strengthen your immune system while the tamarind helps reduce the fever (16, 17). 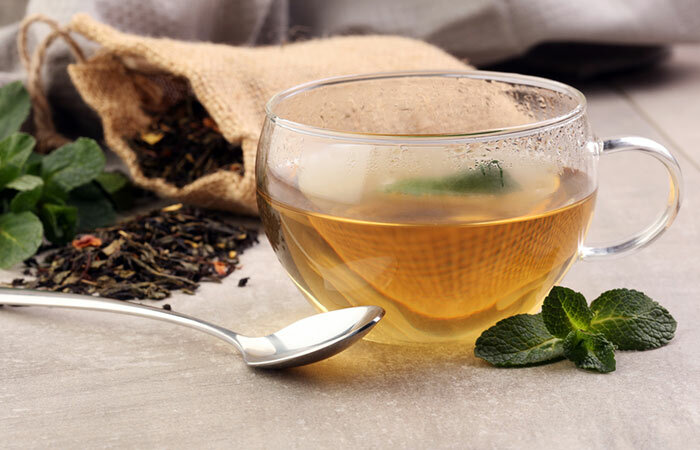 Prepare an infusion by steeping the herb in hot water along with the cloves and cinnamon powder. Let it sit for 2-3 minutes. Strain the liquid and drink three tablespoons of this. Repeat this 4-5 times in a day. Chirayta, botanically known as Swertia andrographis paniculata, is another herb that is known for its health benefits. It is quite effective in treating intermittent malarial fevers. This will significantly lower the body temperature (18). Take the leaves and make them into a pill by rubbing them with jaggery. This should be taken two hours before the onset of the malarial attack. Ingest this on a daily basis. 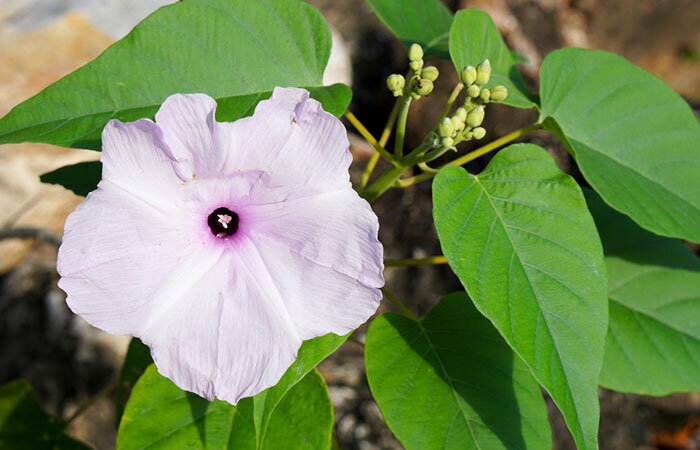 Datura is an Indian herb that is beneficial in treating malaria. The leaves of this plant are useful in the treatment of tertian type of malaria fever (19). Soak the seeds in water overnight and drink this water in the morning on an empty stomach. Do this every day until the malarial infection goes away completely. Malaria patients often feel weak due to intermittent fever. Fenugreek seeds are the best natural remedy to combat this weakness. They help in quick recovery from malaria by boosting your immune system and fighting the parasites (20). 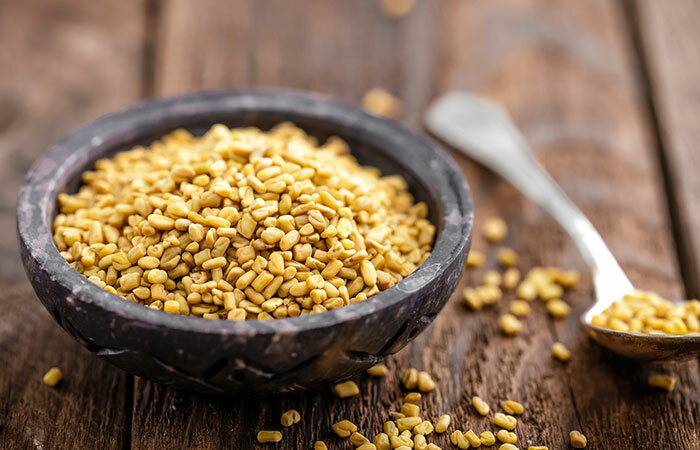 Thus, it is recommended that malarial patients increase their consumption of fenugreek seeds. 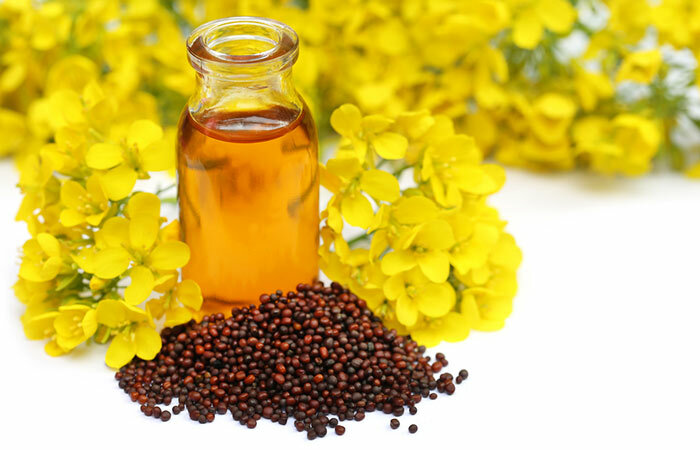 Mustard oil, especially from the black mustard seeds, has been shown to possess antimalarial activity in lab experiments (21). Incorporating it in your daily diet by using it as a cooking oil or adding a teaspoon of it to a smoothie can help your body fight the infection better. This oil can act as a wonderful supplement to the malaria medicines that have been prescribed by your doctor. Add the turmeric to the milk and mix well. Have this before going to bed. Turmeric is a powerful antioxidant and antimicrobial agent. It cleanses the body of the toxins that are building up because of the Plasmodium infection and also helps to kill the parasite. 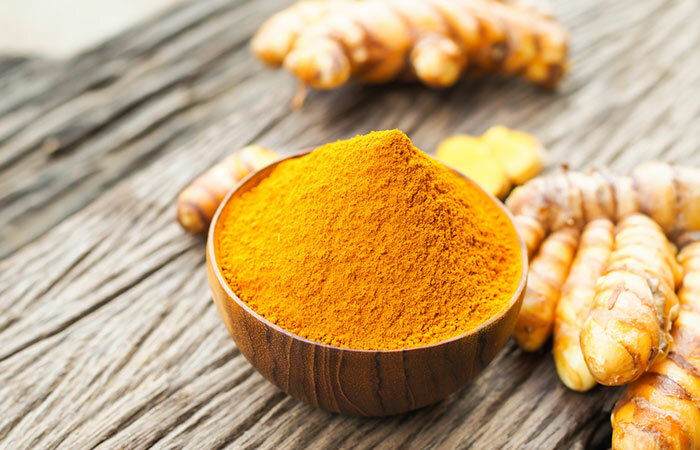 Turmeric also has anti-inflammatory properties that can alleviate malaria symptoms like muscles aches and joint pain (22, 23). It is very important to understand that none of these remedies will eliminate the parasite from your body. The medicines prescribed by your doctor are necessary to do that. However, these remedies can alleviate the symptoms, giving relief from the fever, pains, and aches, and aid the parasite-killing process of the medicines. An official vaccine for malaria has been not released into the market by WHO. There is a very good candidate in the making. 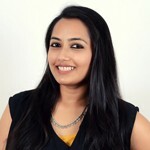 Read on to know about this. RTS, S/AS01 is the most progress scientists have made when it comes to a vaccine for malaria. It is effective against malaria caused by P. falciparum. Pilot distributions of this vaccine are ongoing in a few African countries. Apart from this, more than 20 other vaccines are currently undergoing tests for their efficacy against the various Plasmodium parasites (24). Prevention is always better than cure. Unhygienic surroundings and unhealthy feeding habits act as trigger factors for this disease and so, the following steps should be taken to prevent malaria. Do not allow water to stagnate as this serves as the breeding ground for Anopheles mosquitoes, which reproduce and multiply, thus spreading the fever wherever they go. 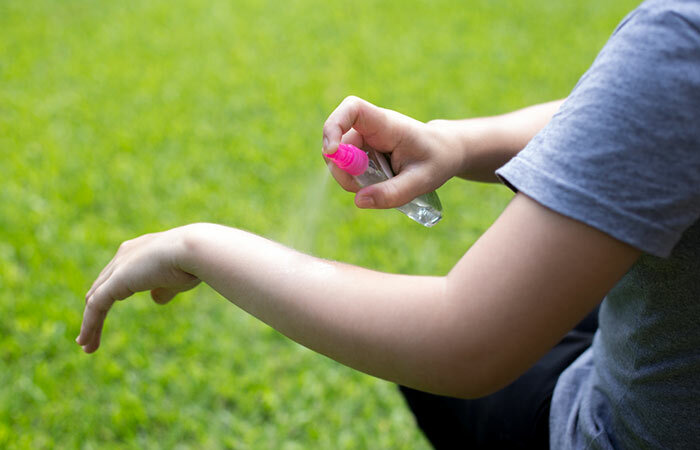 Water bodies should be sprayed with mosquito repellent or other effective chemicals to keep the mosquito population under control. Keep your surroundings clean by keeping your home clean, dry, and hygienic. Use disinfectants like Dettol, phenyl, etc. for cleaning your house and toilets. Use mosquito repellents or mosquito coils while sleeping. If you are allergic to them, you can use mosquito nets to avoid being bitten by a mosquito. This will prevent their entry into your house. Wear long-sleeved clothing and full-length pants while stepping out of the house. Drink clean water only, especially when traveling. Let us now look at the answers to some doubts you may have regarding malaria. Malaria is a disease caused by a parasite called Plasmodium. It is a single-celled organism, which is not a type of virus. What is the incubation period of malaria? The incubation period is slightly different, depending on the type of parasite that is causing malaria. 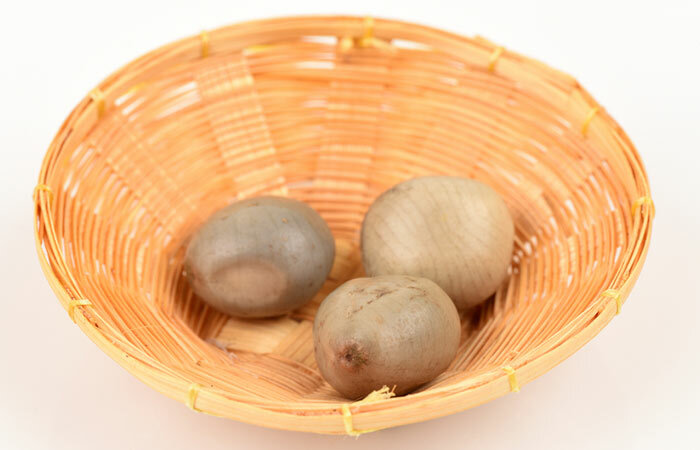 For P. falciparum, the incubation period is 9-14 days. For P.ovale and P. Vivax, it is 12-18 days, and for P. malariae, it is 1840 days. Which organs are affected by malaria? During the initial stages, the parasite affects the red blood cells only, but as the disease progresses, it starts to affect the liver and the spleen. In extreme cases, it can affect the brain and cause cerebral malaria. How does malaria affect the human body? The parasite initially lies dormant in the red blood cells of the blood. After this dormant stage, it starts to multiply and feed on the contents of the red blood cells. Every 48-72 hours, the cell bursts to release more parasites into the bloodstream. This is the time that is referred to as a malarial attack when a person experiences the symptoms. 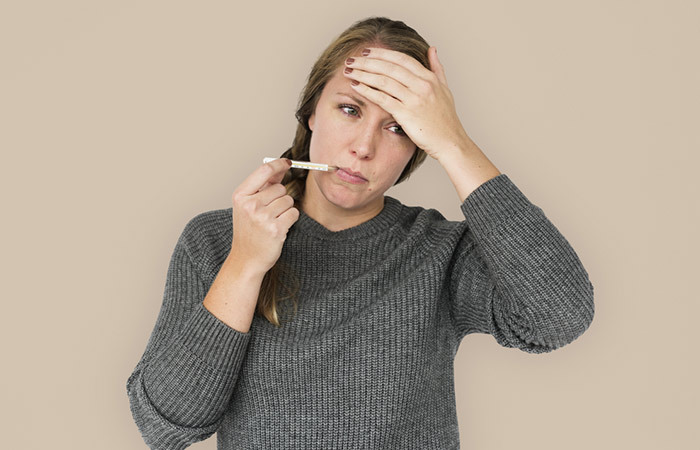 Fever, chills, nausea, vomiting, headache, tiredness, and body pain are commonly experienced. 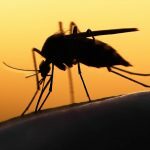 Can malaria cause joint pain? Yes, it can cause joint pain. Can malaria cause miscarriage in pregnant women? Malaria and its symptoms can be more pronounced in a pregnant woman. Miscarriage is very rarely caused during the initial stages as treatment options are available that are safe to be used during pregnancy. As the malaria progresses, the chances of it causing miscarriage increase. Malaria does not spread from person to person. 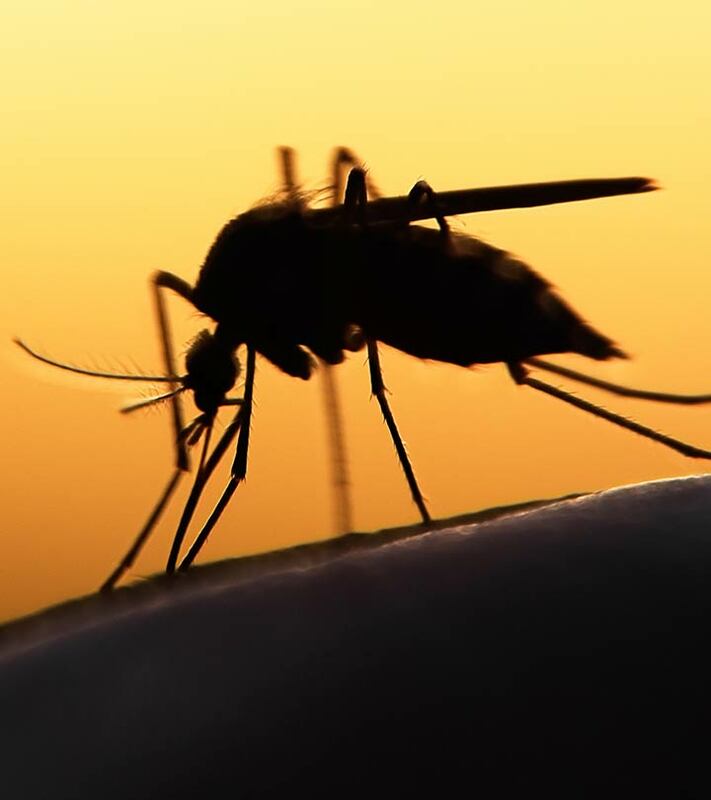 If the Anopheles mosquito bites an infected person, the parasite can be transferred to a healthy person by that mosquito’s bite. Generally, for malaria, recovery takes about two weeks. How long does it take to die from malaria? Death due to malaria is highly subjective. It depends on the current condition of the patient, which type of Plasmodium is responsible for the infection, and if any treatment is being taken or not. There is no specific timeline. However, if left untreated, malaria can easily progress to anemia, hypoglycemia, and cerebral malaria. This can eventually lead to coma and death. How long is a malaria vaccine good for? The vaccine is still under testing. Hence, there is no information about the duration it will be effective for. Malaria diet: What to eat and avoid? Diet plays a crucial role in the speedy treatment of malaria. After the malarial fever has subsided, it is advisable to maintain an exclusive fresh fruit diet along with milk for the first few days. Thereafter, the patient should follow a balanced diet consisting of fresh fruits and raw vegetables. Develop the habit of having a light diet without using much oil or butter. Oily, spicy, and junk foods can only make the situation worse. Fruits like apple, banana, grapes, and guava help in quick recovery from malaria. 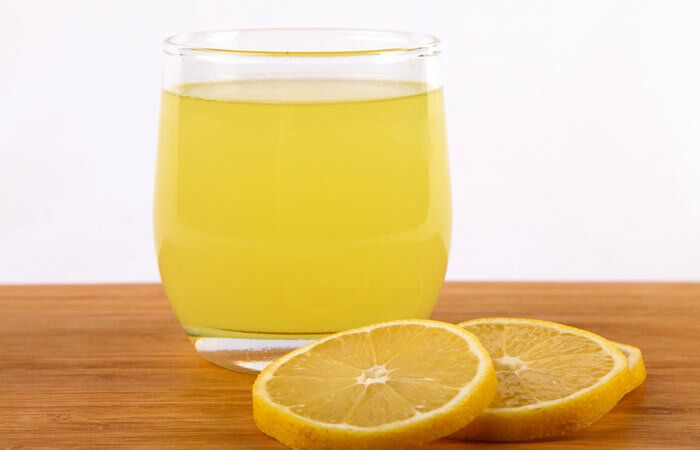 In case of high fever, extract some fresh lemon juice and add it to a cup of lukewarm water. The patient should slowly sip this lemon water. This will prevent the rise in temperature during the initial period of fever. Though it is a serious disease, malaria can be cured if diagnosed at the right time and with the right medication. If you suspect malaria, immediately consult a doctor. Use the remedies given in this article to get relief from the symptoms of this disease while the medicines do their work. Preventive measures work best when you do not want to face the consequences of this infection. So, keep those in mind for sure, especially if you are in a high risk area. Wishing you (or the patient) a quick recovery! Take care!